This 16" wide aerator helps expose grass to air, nutrients and water by driving 5 aerating wheels with 7" spikes into your turf. 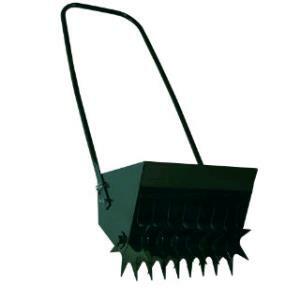 The unit features a steel weight tray, allowing you to place bricks, a concrete block, or other weights on the machine to create pressure to push the spikes into the ground. * Please call us for any questions on our aerator hand push rentals in Hillsdale and Ridgewood NJ.